steckers 09 Feb 2019 09:28 am said..
Have I missed something? What criticism? Diamo 09 Feb 2019 10:03 am said.. Isn't that the old saying though, you can never beat the Welsh, you can only score more points than them! But this looks a decent side though, like Ashton for Nowell, as I think Ashton scares the French a bit. Keep the same side mostly, bring in a few faces so no-one gets complacent. Just need to keep up the same intensity as last week and France can be beaten. Glossince86 09 Feb 2019 10:47 am said..
Sky blue wrote: Correct. Much of the criticism of EJ here is laughable. Some of his comments are crass and unnecessary but I hope JA goes on to be as "unsuccessful" at Glos as EJ has been with England. 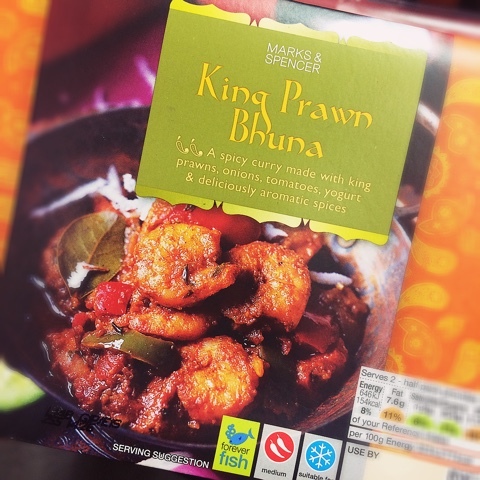 King Prawn Bhuna 09 Feb 2019 11:17 am said.. I think all of the criticism up to the AIs last year was pretty reasonable, success doesn't look like 5th in the 6N and was was inexcusable. The team that took to the pitch in Paris last spring was a shambles and not a team that was being organised by a head coach that was above reproach from the fans , the media and his employers. He has taken on board much of what his critics have said. The squad , the team dynamics, the playing style and not least of all his own demeanour are/have changed and continue to adapt. Fair play to him for having a quiet revolution and chopping the dead wood out. Tuffty 09 Feb 2019 11:42 am said.. If you accept the big bucks, the buck stops with you when performance is sub-standard. You have to listen to the constructive criticism and enact change. The measure of a man is how he responds to challenge. In this instance EJ has indeed risen to the challenge as you rightly point out. Last edited by Tuffty on 09 Feb 2019 14:47 pm, edited 1 time in total. steckers 09 Feb 2019 13:47 pm said..
Oh last year. Well in 2018 EJ will accept the criticism. England had a very poor year, even when they did scrape wins (and i include some of the AIs). Even this week, I have seen some of the players saying that England failed to progress and adapt last year. I think some people do EJ a disservice. He is a professional coach and will know that criticism comes with the territory. It also can make you better. He will know that - I have no idea why some think it's unreasonable to be critical. Personally, I was very critical of him last year - I thought England were awful after a great start. It doesn't mean I thought he should be sacked (it was getting close at one point). It was interesting listening to Alastair Cook on 5live yesterday talking about this - professional sportsmen just have to accept they will be criticised. I have no idea why anyone would cry about it - and I'm sure EJ wouldn't. CMGC 09 Feb 2019 18:35 pm said.. I think EJ is one of the first to dish it out and doesn't whinge when others comment. Last year Eng suffered ( just like Glos this year) due to a horror show on injuries. New players had to come in and that takes rime to adjust and settle. It seems that Bown is just about the only one who has been slightly dropped. Cole is back/ Robshaw still injuried / JJ is in his sights but not quite fit enough as is Hartley and several others who were out now back in the fold. Care has been potentially dropped depending on what Robson does. I can;t see any sign of a response to any outside influence. I think EJ always knew what he wanted and despite still having half a dozen of his 23 out can at least assemble a more complete team. What is good is that EJ has picked on form and the number of new faces each season has kept evolving. Not1eyed 09 Feb 2019 18:48 pm said..
Wow, you could make a seriously good team out of that lot. Just want to say I don’t think EJ was anywhere near the sack anywhere else but shedweb. King Prawn Bhuna 09 Feb 2019 19:33 pm said..
Not1eyed wrote: Wow, you could make a seriously good team out of that lot. Not1eyed 09 Feb 2019 19:47 pm said.. Thanks for the advice. I’ll try and do that. I didn’t articulate myself very well tho I meant he wasn’t near the sack in circles that matter.